In the midst of my sickness, I finally got around to finishing the epic manga I purchased over the winter break called “solanin”. This is a rather touching story about a college grad who doesn’t know what to do with her life and how to find happiness. It’s rather depressing, sad, and total bleak. It doesn’t even answer a lot of the questions it brings up, which rather upsets me. It’s things like these that make me feel like I’m never going to find happiness and no matter how good I have it, how easy, simple, whichever – I’m never going to be happy. I don’t really know what to think of it, but alas, I am posting about it. I’d love it if someone else were to read it and tell me what they think about it. The art is truly awesome in this. It boggles my mind that someone can single-handedly create a 400-500 page illustrated work at this quality in just a year or so. It baffles me. 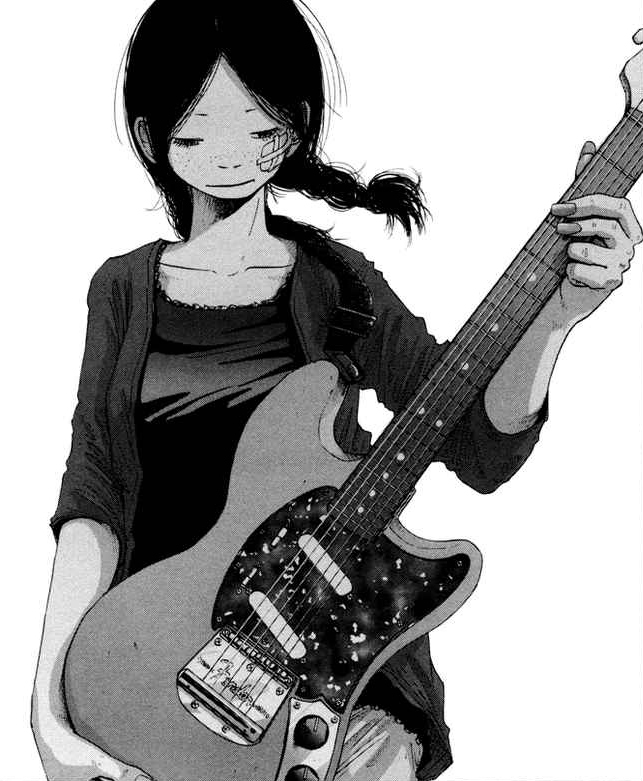 Inio Asano has become a new favorite of mine. I also researched this and found out that they made this book into a live-action film just this past year. I’ll have to check it out. If anyone wants to borrow it and give it a read, I encourage it. Maybe afterwards we could check out the film! This entry was posted on 02.08.2011 by Ryan M Paxton. It was filed under Art Finds and was tagged with comic, depressing, graphic novels, inio asano, japanese, manga, new influence, solanin.